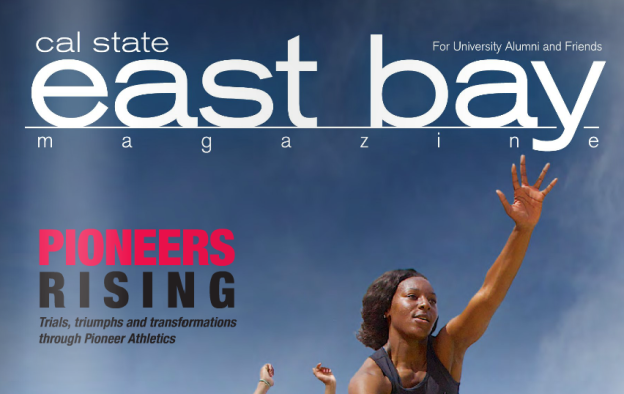 I’m pleased to share the news that the Spring 2014 issue of Cal State East Bay magazine is now online. I have two articles in the issue: a profile of father-daughter track stars Marcus and Lauren McGlory, and four vignettes on former student-athletes who credit their success in life on their participation in Pioneer athletics: Lori Stilson-Armstrong, Frank Fudenna, Rich Sherratt, and brothers Don and Mark Sawyer. Previous Previous post: Can Developers Save Earth? Can BIRT Help?